We are instrumental in manufacturing and exporting BOPP Inks that can be availed at reasonable cost. Appreciated for its excellent re-solubility, printability and high gloss, the proffered batch of ink is massively acclaimed in the business. Provided in safe packaging, this is free from contaminants. Color: Red, Yellow, Maroon, etc. We offer Bopp Film Printing Ink for lamination reverse printing on PET film & Bopp, which are manufactured from top grade raw materials thus enhancing its features. 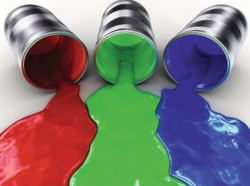 Our range of printing ink gives very attractive look due to its adhesive properties. 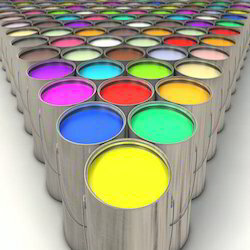 These printing inks are packed in the package of 5 kg to 200 kg at most competitive prices. We are instrumental in manufacturing and exporting Bopp Film Printing Ink that can be availed at reasonable cost. Appreciated for its excellent re-solubility, printability and high gloss, the proffered batch of ink is massively acclaimed in the business. Provided in safe packaging, this is free from contaminants. The offered BOPP Lamination Inks is suitable for printing on treated BOPP film and subsequent tape glue coating.